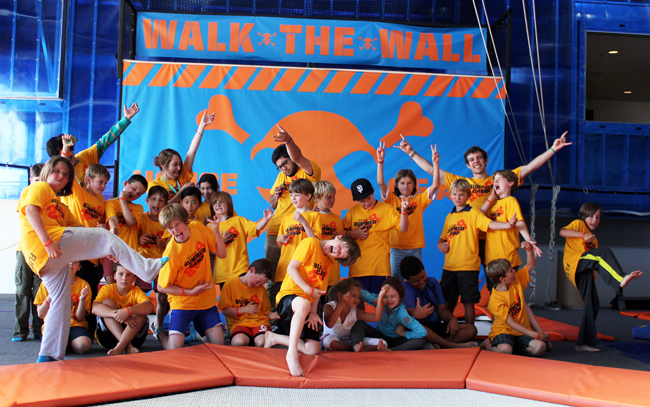 Join us for Summer Camp at House of Air! Flyers will have exclusive access to the Matrix and Dodgeball Colosseum before the park opens taking part in trampoline games. One of the coolest parts of camp is when flyers spend time with our Training Ground pros and learn all the flips and tricks. 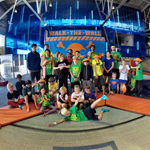 In addition to all the fun jumping, flyers will enjoy sports, games, activities, and lunch in the wonderful surroundings of the Presidio and Crissy Field. Camp flyers will receive awesome flight socks and lunch! Summer Camp flyers will receive awesome flight socks and lunch! What is House of Air? Memorial Camp May 30th Book Memorial Day Camp! © 2019 Adrenaline Park Ventures Wszelkie prawa zastrzeżone. These items are standard when you choose to have a party at House of Air!